Harry is here with his friends and the magic seems to be working perfectly as the movie has recorded one of the biggest extended weekend openings ever. 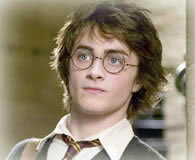 Harry Potter and the Order of the Phoenix which opened in the USA on Wednesday has raced to second spot in the list of all time Wednesday to Monday openings with only the 2004 blockbuster Spiderman 2 ahead of it. It is well in sight of breaking into the second spot in terms of sequel averages of big time franchises like Pirates of the Caribbean and the Lord of the Rings trilogy; only Spiderman remaining ahead. Harry has also managed to rake in a cool 140 million worldwide from his first weekend at the box office and if his producers are to be believed then he might finish up at a staggering figure of over 800 million at the box office. We hear that the budget of the film was somewhere around 200 million dollars and if our calculations are correct and if everything goes according to plan then Harry will garner a profit of nearly 400% (the figure sounds familiar doesn’t it). With good reports, appreciated performances (Harry, Ron, Hermione and Neville have come in for a lot of praise for showing amazing maturity on screen) and a star studded line up, though you might not recognize these otherwise familiar actors in their long robes, big beards and one particular flat nose (You know who), the movie looks all set to make the Warner Brothers richer by a few hundred millions. Harry Potter and the Order of the Phoenix: its darker, it’s deeper and it’s certainly worth a watch.